Vietnamese households…better equipped than ours? Life and habits are different in Europe and Asia, not to talk about the differences from country to country. One interesting feature I find in “richer” Vietnamese kitchens, where they have built in furniture, is that the wall cupboard above the sink has no bottom! The shelves in them are not boards but metal grates. Why is that? 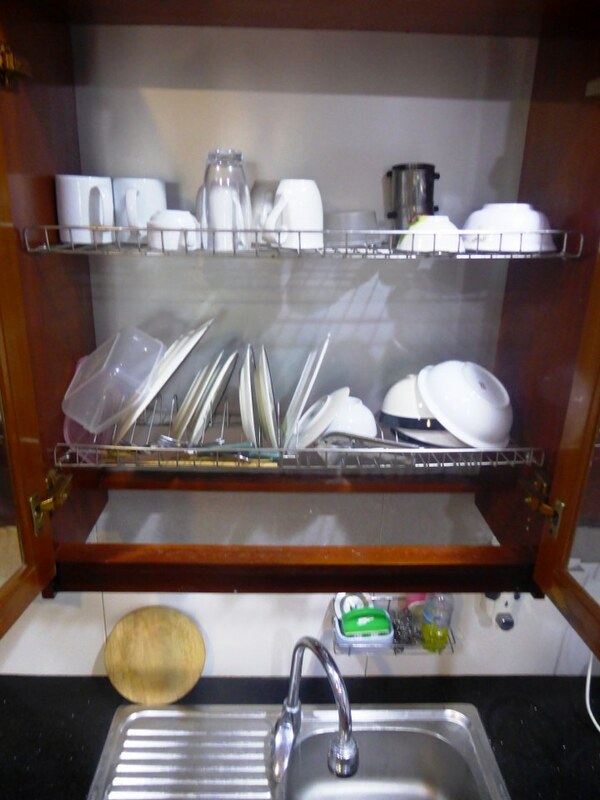 Very simple: in Vietnam there are no tea towels and after cleaning the dishes people put them back in the wall cupboards – still wet. Here they dry by themselves and drip onto the sink while doing so…..
Another significant difference are toilets. 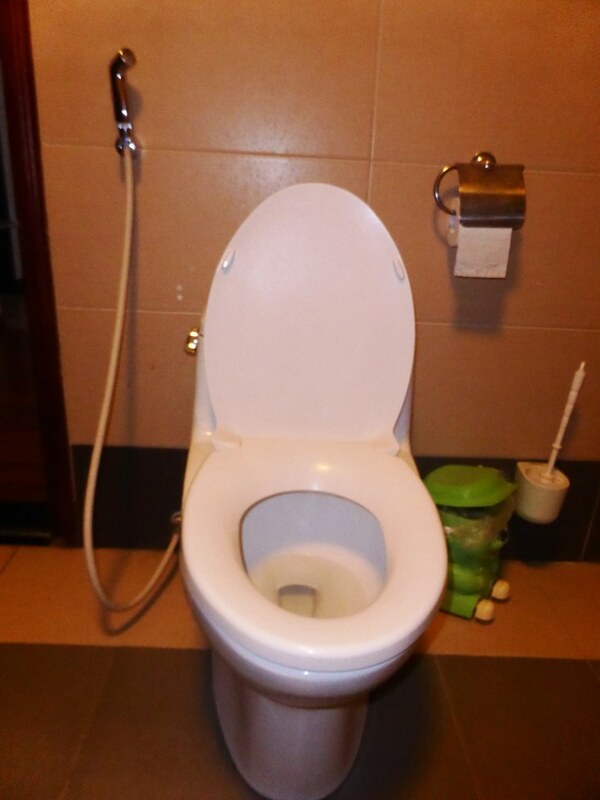 In Asia every toilet has a shower hose fixed next to it. To clean yourself and the toilet properly – if necessary. A very cultivated feature. I have installed that years ago in my Bansko bathroom. The Japanese are, of course, the world leaders in toilet culture In comparison we look like primitive Barbarians….